Cassy Mae thought she left danger behind when she moved from the Santos Francisco slums to live in a small mountain town with her grandmother, only to learn her GrammyJo worked magic which her mother had taught her to fear and hate. Docket’s Diggings at first seemed a paradise — until the strange, but rich, Lydia Markhem and her niece, Jamilla, moved to town, spreading a strange malaise around them. 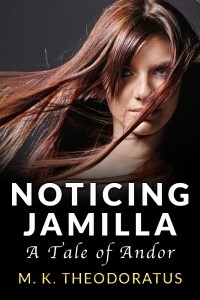 Cassy Mae spends her senior year trying to avoid her grandmother’s magic and Jamilla’s persistent stalking. Got tired of bloody vampires and wondered about emotional vampires. The idea sort of stuck in my mind and blended in with my demons from There Be Demons, which will be coming out in Summer 2014 from The Grumpy Dragon. Cassy Mae will appear in the trilogy. I like to use short stories to develop characters after they appear in my mind. This is Cassy Mae’s moment in the sun.